The Gathering was held this year on Saturday 1st September at Earlshall Castle on the outskirts of the village of Leuchars in North East Fife. It was a fine sunny day. Earlshall Castle was approached on foot, from the car park among the trees, along the grassy path and through the “kissing gate” beside the stone Gatehouse. 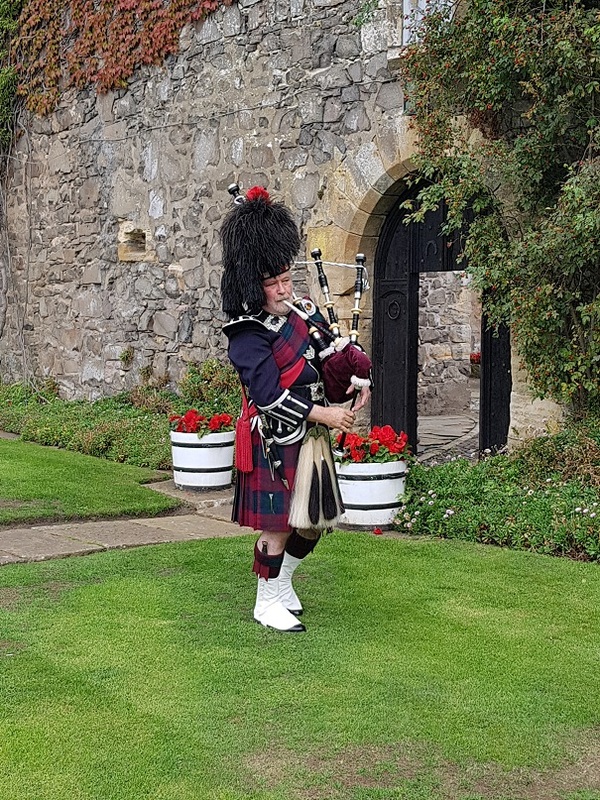 Following the pre-organised Board of Management Meeting, Members gathered in the Castle forecourt as the Clan Piper, in full regalia, played some welcoming tunes before lunch. No laments this year. 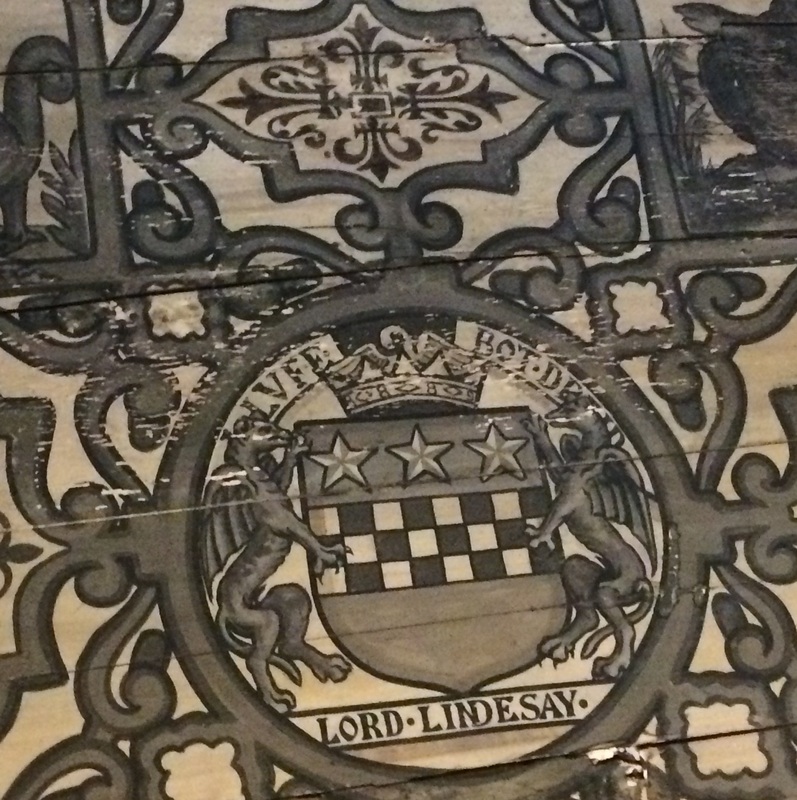 There was a celebratory mood in the air that day as the Master of Lindsay, the Earl of Crawford’s grandson, was preparing for his wedding in nearby St Andrews. The lunch bell was sounded and our host, Paul Veenhuijzen, and his wife Josine ushered us up the stairs to the Great Hall on the second-floor where a magnificent spread was laid out on the banqueting table. After lunch our Chairman, Scott Lindsay, addressed the Gathering, welcomed those present and gave details of various aspects of the castle and grounds. 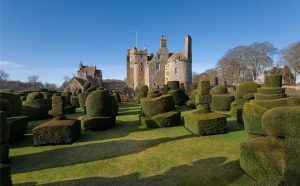 A free-range session evolved when Members toured the castle and gardens returning to the forecourt later in the afternoon for coffee/ tea and scones. Thereafter Members leisurely departed, some for home, but those who had booked overnight accommodation and had aspirations of an evening ceilidh, retired for supper at the Guardbridge Inn. Unfortunately, our piper had to depart shortly after lunch to play the guests into St Salvador’s Church for Alexander and Allison’s wedding service. He was not seen again until the ceilidh started at the Guardbridge Inn around 8 pm. Our guest folk singer, Helen Miller, led an evening session in the back room of the Inn with lively audience participation and a very entertaining presentation of Scots poetry by Robert Lindsay Hodgart. When exactly the doors closed that night at the Inn is not on record but general exodus for the highly successful and entertaining evening was estimated at being about 11.00 pm for the majority of the participating Clansmen. INVITATION: Members are cordially invited to take tickets for this year’s Clan Lindsay Gathering to be held at Earlshall Castle, by Leuchars, Fife on Saturday, 1st September 2018. 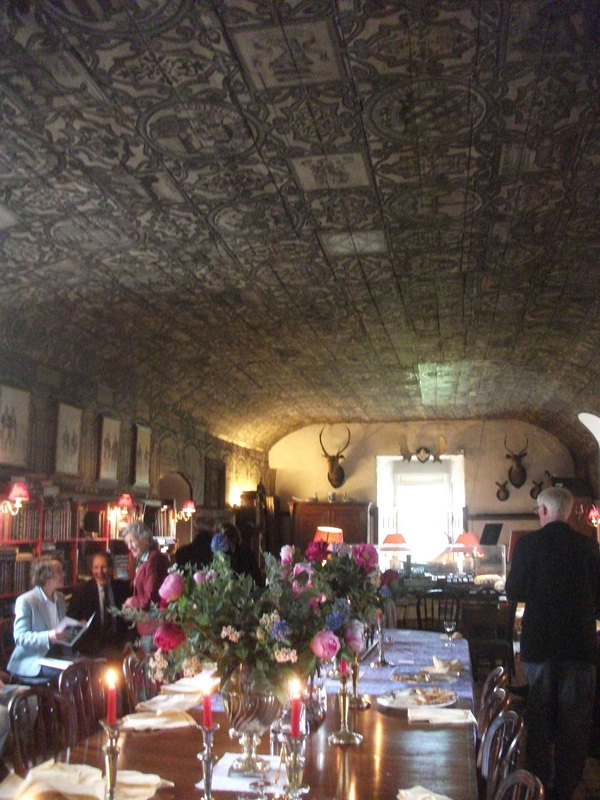 Earlshall is a 16th century fortified house, beautifully restored by Sir Robert Lorimer, and is the home of Paul Veenhuijzen who has very kindly offered to host our Gathering with lunch in the Long Gallery followed by tours of the house and world famous gardens. 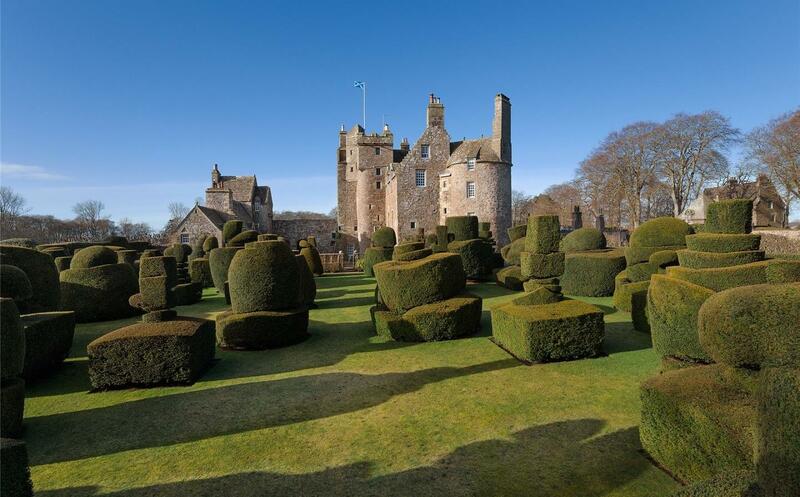 The house has a fascinating history being built by Sir William Bruce, a relative of King Robert the Bruce, in 1546. Our host is currently writing a book on its history and so is very well qualified to enlighten us in that respect with an after lunch address before commencing the tours. The lunch will be buffet style with hot and cold dishes, served with wine and soft drinks. Later in the afternoon we will be served with tea and scones before departing. Please book early as we need to know numbers well in advance. The ticket price is £35. Lunch will be preceded by a meeting of the Board of Management at Earlshall from 11.00 to 12.00 noon. 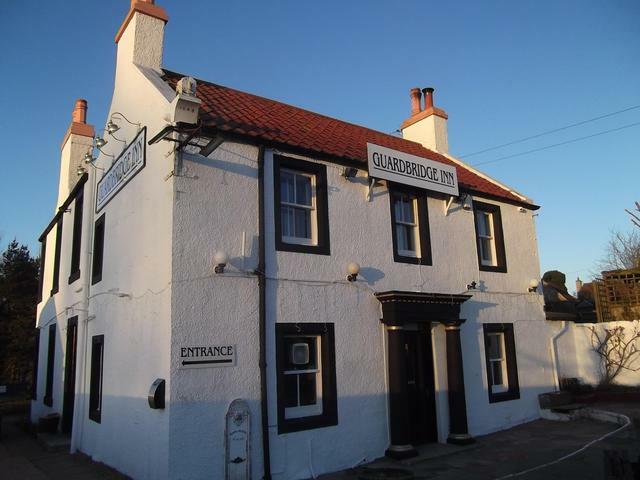 For those wishing to stay overnight, there are a number of small hotels and B&Bs in the area and Earlshall is located 3 to 4 miles from St Andrews. We have established the possibility of holding a ceilidh in the evening at the nearby Guardbridge Inn and if a sufficient number of us purchase an evening bar meal at the Inn, a room for the ceilidh will be provided free of charge.